We have loads of options for charred wood/Shou Sugi Ban as popular cladding alternatives to our untreated timbers. Charred wood takes a lot more work to prepare because after the timber is machined / sawn to profile the wood must then be charred the right amount and treated before it is ready to be delivered to you. The most popular form of charred cladding is the charred black cladding (brushed and Danish oiled). This is the darkest charred wood we supply, and it gathers quite a lot of attention. The timber is hand burnt until it is charred on one face and then treated with the Danish Oil and brushed (if that is the option you selected). Brushing the timber removes any loose pieces of soot from the wood. 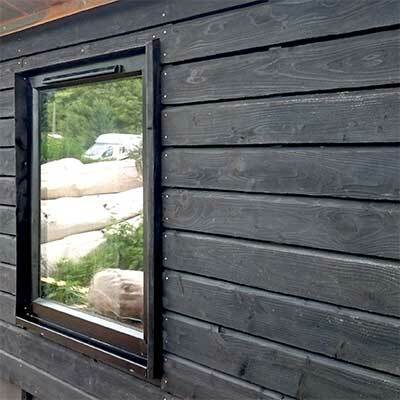 The second external option we supply is Tiga wood which is charred to a smaller extent than the charred black. Tiga wood is charred just enough for the grain to be burnt and the wood to be slightly darker and have a more pronounced orangey tinge. 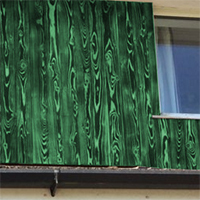 We also supply Rainbow Cladding which is Tiga Wood but stained to a colour of your choosing (Red, orange, yellow, blue and green). The charred grain is still visible through the stain and the effects are quite remarkable. We think that the Rainbow cladding is more suited to internal use but it can be used externally. As with all timbers our charred wood will fade over time when in contact with UV light so it is important to treat your timber with a UV protection Oil like Osmo 420 (you will need to retreat your wood every so often to maintain it properly). Are there alternatives to charred wood cladding? 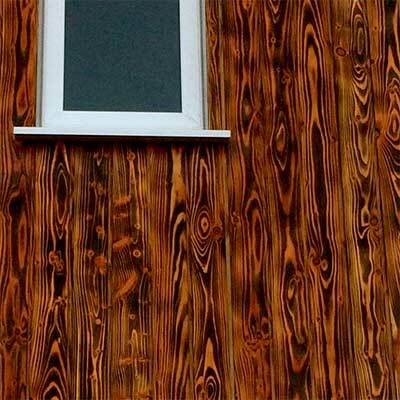 We have recently started offering a more cost effective alternative to charred wood called painted black cladding. This is only available in our IWC14 Feather edge profile which has a rebate and relief grooves. We are able to supply the timber to you much quicker than the charred options because we bring it into stock ready to be sold. As it’s not machined to your specific requirements, we can only provide painted cladding in one profile and they are supplied in set lengths of 4.8m.